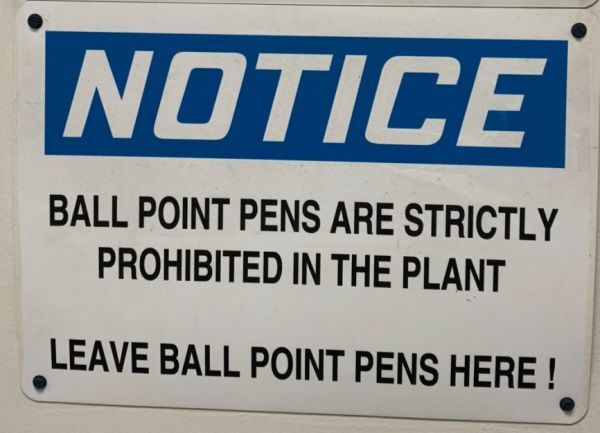 I have been working in the metals industry for most of my life and I have seen a lot of notices (mostly safety notices of one sort or another) but I recently saw one that I did not understand. For a few days I was racking my brain to work out why it would be required (not wanting to look foolish by asking) but eventually my curiosity won out and I had to ask one of the people that I was working with. The company that I was working with supplied high quality ingots where the metal was being used to make blades for aircraft engines and they were advised by one of their customers that they needed to enforce this. I then asked why this would be a requirement and was told that there was an accident investigation that concluded that a single ball from a ball point pen was included in the blade and that caused the blade to fracture causing the accident. 3 things are certain in life…. While on holiday in Spain this summer we were offered a few excursions through our hotel rep.